Curtain-tracks.com is your online source for buying RV curtains and mounting and track accessories. 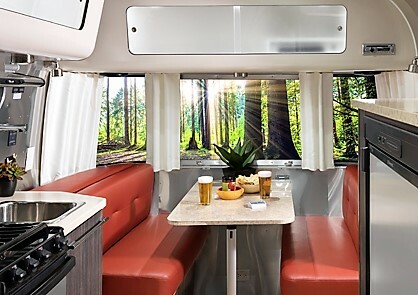 Whether hanging as window treatments, privacy curtains, blackout curtains or even shower curtains, we can supply custom-sized RV curtains and the hardware to fit virtually any vehicle like a recreation vehicle (RV), camper, motorhome or travel trailer. Choose from a variety of custom fabrics and materials that can work perfectly for windshield wrap around curtains, drapery, windshield curtains, window curtains, shower curtains, divider curtains and bunk curtains, all of which can be customized for your specifications and specific RV model. For added safety, we carry flame retardant fabrics for our RV curtains which meet FMVSS 302 standards. Lining materials for improved blackout and insulation purposes are also available for extra privacy on your windshield and other areas. All of our RV curtains can be crafted to use most replacement drapery hardware. 100% flame retardant. Meets NFPA 701, MSVSS-302 standards.